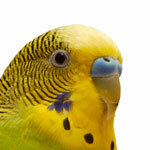 “Theft-Proof” Your Pet Bird – Pet Birds by Lafeber Co.
With the warmer weather, it also tempting to give our birds some outdoor time by placing their cage/play gym outside on the front porch or in the yard. Of course any outdoor time should be sufficiently supervised to ensure your bird’s safety from predators, such as birds of prey and neighborhood cats and dogs, and that it can’t fly away. But even under close supervision, you should be aware that a potential crook might have your flock under surveillance, waiting for you to step inside your home to seize the moment by seizing your bird. 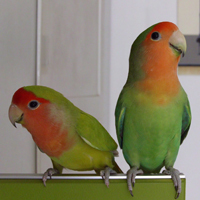 Don’t be complacent in thinking that your bird will not willing go with anyone he or she doesn’t know — a pet thief will not ask your bird to “Step up” but rather will grab your screaming and biting parrot and throw him in a bag and fleeing the scene. 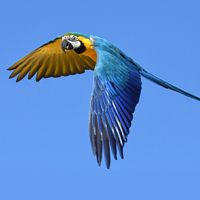 Some parrot owners have an outdoor aviary so that their birds can enjoy the fresh air, which is an excellent way to offer a bird the health benefits of natural sunlight as well as exercise. While an adequately fitted aviary can offer predator protection and protection for the elements, consider locking it, and even so, check on your flock frequently. I once spoke with a devastated African grey owner who left her bird in a locked outdoor aviary only to return home to find her bird gone and hole cut into the aviary wire. 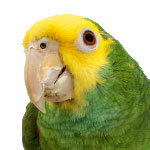 I heard a similar story of a breeding pair of macaws being stolen from an outdoor aviary. Think of your bird’s outdoor time in an aviary setup as you would a school-aged child playing in family the yard … check on your bird frequently. 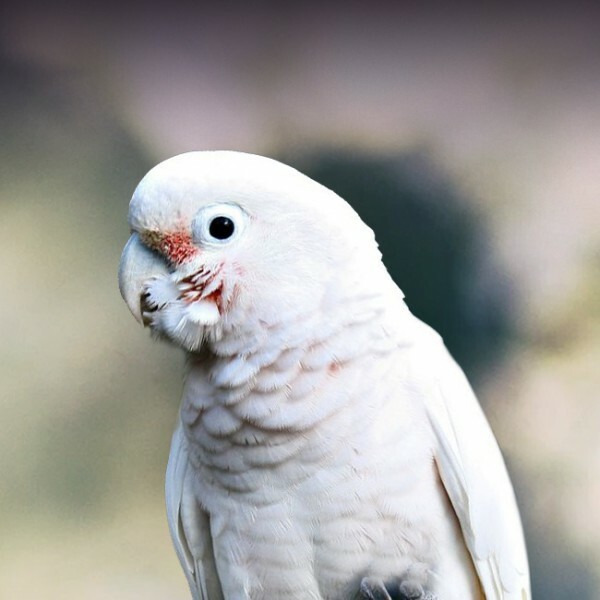 Of course, no one plans for their beloved pet bird to become lost or stolen, but the reality is that we need to plan for our birds to be lost or stolen. 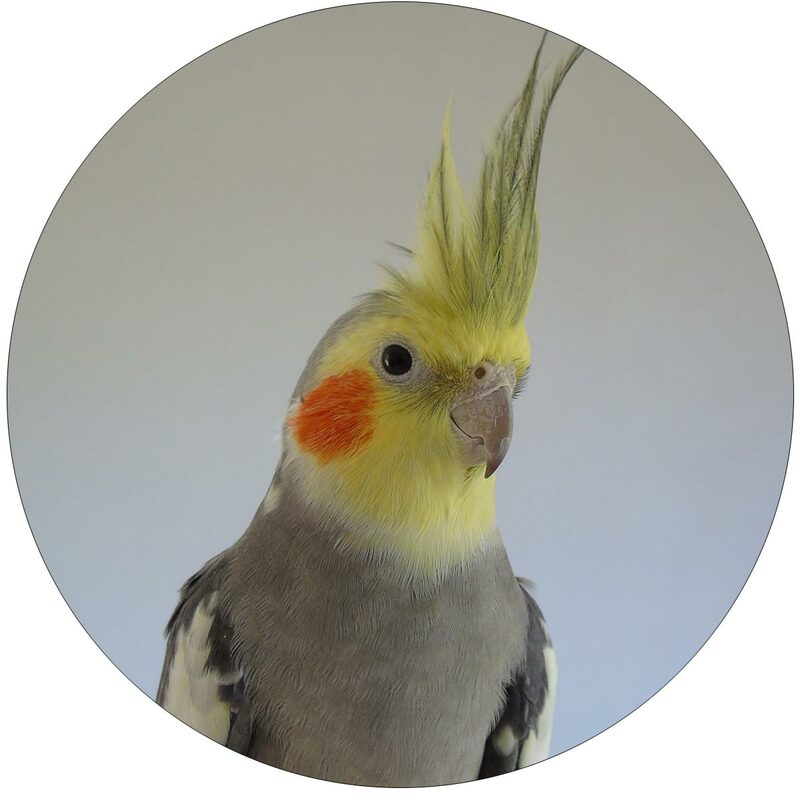 Take some portrait pictures of your pet bird, ones that show your bird close-up, as well as ones that show its full body, so that you have photos ready to go to make up lost-bird fliers and to show to local veterinary hospitals, anima shelters and your neighbors. You can also use the photos to post on lost-pet websites like www.911parrotalert.com and PetFinder.com and on Craigslist’s “Lost & Found” listing. If your bird has a leg band, make sure you have all of the band information written down and that you keep it with your other important documents. 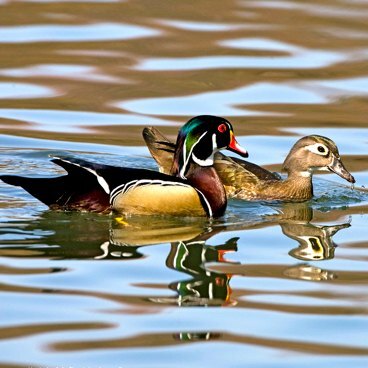 The info on your bird’s band will help positively identify your bird. Also keep a list of your bird’s vocabulary/the sounds he or she makes (barks like a dog, meows like a cat, beeps like a microwave, etc.) and any distinguishing physical traits, such as a missing toenail. If there is ever a dispute about the bird’s ownership, having this information can help you prove yourself as the bird’s rightful owner. 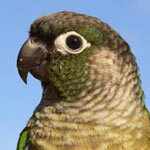 If your bird is stolen, search not only your local Craigslist but also the Craigslist of nearby cities for a pet-bird-for-sale profile that fits your bird’s description. 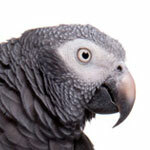 If you do find a profile that matches your bird, do not confront the seller. When a dog owner profiled in Time’s “Pet Flipping” article saw her missing dog listed for sale on Craigslist, she and her father met with the seller, and told him she would go to the ATM and return with the $900 asking price, but instead they went to the police. Also be aware that some people can take advantage of a pet owner seeking to re-home his or her pet. 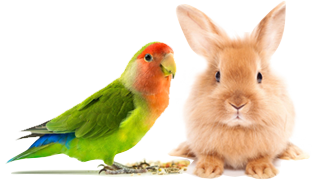 If you need to re-home a pet bird, consult a reputable pet bird rescue/adoption organization or your avian veterinarian for advice. You don’t want your bird going to someone who says he or she will give your pet a loving, forever home, only to have that person sell your bird to make a quick $100.